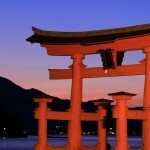 Outstanding nature, a samurai tradition, and unspoiled, idyllic scenery in the Chugoku and Shikoku regions. After discovering the beauty of Japan in Shimane and Tottori, travel to the spiritual island of Shikoku, which is Japan’s fourth largest island, famous for the 88 temple pilgrimage, an abundance of history and local cultures. It will take you back to Japan’s medieval days. Take it slowly and enjoy the relaxed pace of the local hospitality and culture. Upon arrival in Osaka, relish this bustling, friendly, food-lovers city. Enjoy the panoramic city view from the floating observatory in Umeda district. Discover your favourite local street food in Dotonbori and don’t miss the impressive Osaka Castle. Catch a train to Matsue, a castle town flanked by Lake Shinjiko. Absorb yourself in Japan’s feudal past with a visit to Matsue Castle (an original structure) and Bukeyashiki, the former Samurai district. Make your way to the land of myths and legends, Izumo. Stroll through Monzenmachi street and visit Izumo Taisha Grand Shrine, one of Japan’s oldest shrines, renowned for having the largest sacred straw rope in Japan. 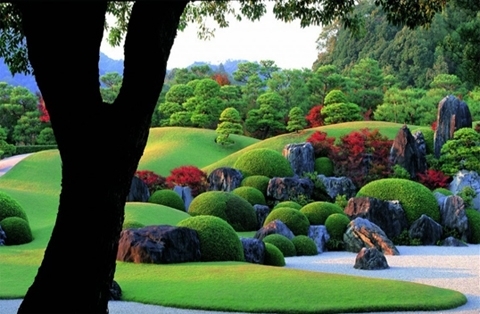 Then visit Adachi Museum where you will be enthralled by the devastatingly stunning Japanese gardens. Take a day trip to Tottori to see the famed Tottori Sand Dunes. The view of the breathtaking emerald green ocean from the top of the dunes is enchanting. Visit the Sand Museum to see the elaborate sand art, then wander around Kurayoshi, a charming, retro town, lined with traditional white-wall warehouses with red coloured roof tiles. 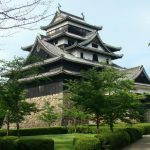 Take a train to Okayama, famous for its beautiful, manicured garden, Korakuen, and Okayama Castle, known as ‘Crow Castle’ because of its black appearance. Take a day trip to Kurashiki. Wander through the historic Kurashiki ‘Bikan Chiku’, lined with old style houses and traditional white walled warehouses along the picturesque canal. Board a train to Takamatsu in Shikoku. Take a walk around another beautiful Japanese garden, Ritsurin Park. Then visit Kotohira. Walk up the 785 stone steps to Kotohiragu, a revered shrine and a highly popular pilgrimage site. The mountain-top is a further 583 steps but for those who dare, the spectacle of Izutama-jinja and the views over Shikoku are stunning. Don’t forget to sample the local Sanuki Udon noodles for lunch. Then visit Zentsuji Temple, one of the 88 temple pilgrimage, before heading back to Takamatsu. An expedition to the small islands, Megijima and Ogijima. Megijima is famous for its ogres, from the legend of Momotaro. Take a bus or a bike and head to the ‘demon cave’ and observation point at the top of the mountain. Ogijima is a relaxing and peaceful island. Wander around the island by foot or by bike. Discover the pretty lighthouse and it’s museum and uncover artworks around the island. Head back to Takamatsu. Make your way to the dramatic Iya Valley and board the sightseeing boat at Oboke Gorge. The sheer size of the narrow, steep-sided gorge is astonishing. Move on to the Heike Samurai House Folk Museum to see what life was like in the old days then head to the Iya Kazurabashi Bridge, a suspension bridge, made from mountain vines. After a challenging crossing, the path leads to the tranquil and refreshing Biwa-no-taki falls. Take a train to Matsuyama, the largest city in Shikoku. After lunch, visit Uchiko, an old-fashioned town where merchants prospered. Wander around Yokaichi, full of beautiful streets lined with large Meiji-era houses. Explore the historical industry of white wax production at the Kamihaga Residence, see the Machiya Museum, which displays a typical Edo period merchant’s house, and Uchiko-za, a fully operational kabuki theatre. Explore in Matsuyama and Dogo. Catch the ropeway and visit Matsuyama Castle, one of the Japan’s 12 original castles. Catch a tram to Dogo Onsen, the oldest hot spring in Japan. Stroll around the onsen town, see the main building, Honkan, the symbol of Dogo onsen. Visit Ishiteji Temple, one of the 88 temples, before heading back to Matsuyama. Board a train bound for Osaka. Stop by Himeji to see the world heritage Himeji Castle, one of the most beautiful and spectacular castles of Japan. Visit the modern, fashionable city of Kobe. 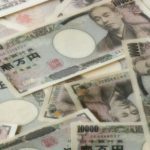 Stroll around the bay area or Nada Sake district, then visit and learn about the devastating Kobe earthquake at the Kobe Earthquake Museum. Don’t miss the opportunity to sample the famous Kobe beef for dinner before seeing the wonderful Kobe night view.